It looks like the next iPhone will arrive right on schedule. 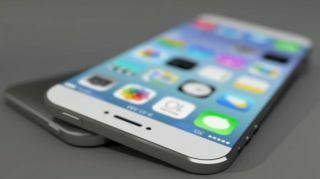 A leak has revealed a not-so-shocking revelation: the iPhone 6S is reportedly releasing in September, just like the last three flagship releases. The report says that the handset, rumored to boast Force Touch, is described as the "New iPhone," which is most likely a level of secrecy within the email and not the actual name of the device. Although with the Cupertino company's latest New Macbook release, it isn't out of the question. The report says the email is mum's the word on whether or not there will be a follow up to the mega-sized iPhone 6 Plus. To simplify its product line, it's possible that Apple will return to featuring one flagship handset. In addition to Force Touch, the iPhone 6S is rumored to feature the sapphire glass screens that missed the cut on the iPhone 6 and 6 Plus, as well as an upgraded camera. If this report is true, all of our questions and more will be answered when September rolls around.